(LĐXH)- From 4-5 April, in Hanoi, Ms Nguyen Thi Ha, Deputy Minister of Labor, War Invalids and Social Affairs, Standing Member of the National Committee for Children, had working sessions with leaders of Ministry of Education and Training, Ministry of Culture, Sports and Tourism, Vietnam Women's Union, Ho Chi Minh Communist Youth Union. At the meeting, the two ministries agreed to immediately implement some specific solutions to limit school violence. In the coming time, they will coordinate to direct localities to review all kindergartens and preschool institutions, especially in industrial parks and export processing zones; request the schools to perform Circular No. 31/2017 of the Ministry of Education and Training on establishing the counseling and supporting team for students led by the school's leaders. 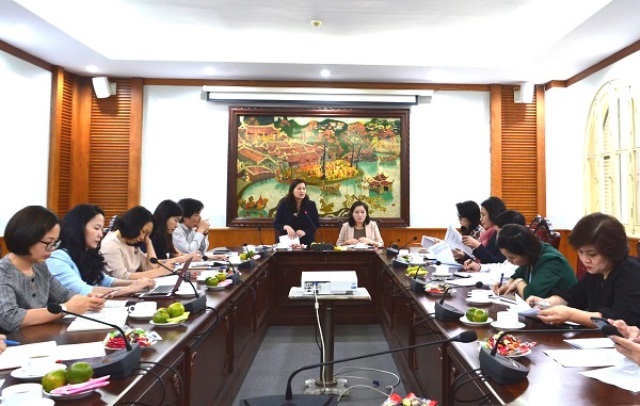 ** At the meeting with the leaders of the Vietnam Women's Union, the two sides agreed to strengthen the coordination of information exchange; voice and intervention to protect women and children from violence and sexual abuse; advising the Scheme on "Educating parents"; develop programs, documents and training to improve the capacity of Women's Union officials at all levels on child protection; supervising the implementation of the Law on Children in localities and units; guiding injury preventio, especially traffic accidents and child drowning. In the immediate future, the two sides will focus on guiding the establishment and operation of child protection groups and networks of child protection in commune-level. ** At the Ministry of Culture, Sports and Tourism, the leaders of the two ministries agreed to coordinate the implementation of a communication campaign on child drowning prevention; organize the Water Festival to promote the movement of teaching swimming, safety skills in the water environment; organize the contests on violence and child abuse prevention; promote the National Call Center for Child Protection 111. 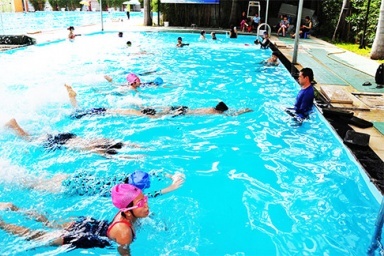 Next week, the Ministry of Culture Sports and Tourism will direct localities and tourism service establishments to strengthen child drowning prevention and sexual abuse in tourism activities. In April, the workshop on "The role and responsibilities of families in the protection, care and education of their children" will be held.